As I am sure you know by now I love a bit of thrifty fashion. Vertbaudet never disappoints they have beautiful clothes and rather lovely prices too. My kids always get complimented when wearing Vertbaudet clothes and they are definitely made to last too. The frilled skirt is just gorgeous isn’t it and comes in a wide range of colours (oh I would personally LOVE one of these!) I think the fact it has an elasticated waist means we will get a lot of life from this too which is always a bonus. At the moment it costs just £9. And the cardigan (£6.60) is a sweet little touch, and comes in a myriad of colours. I love that its discreet enough to still show off the outfit but perfect for thei changeable British weather too. 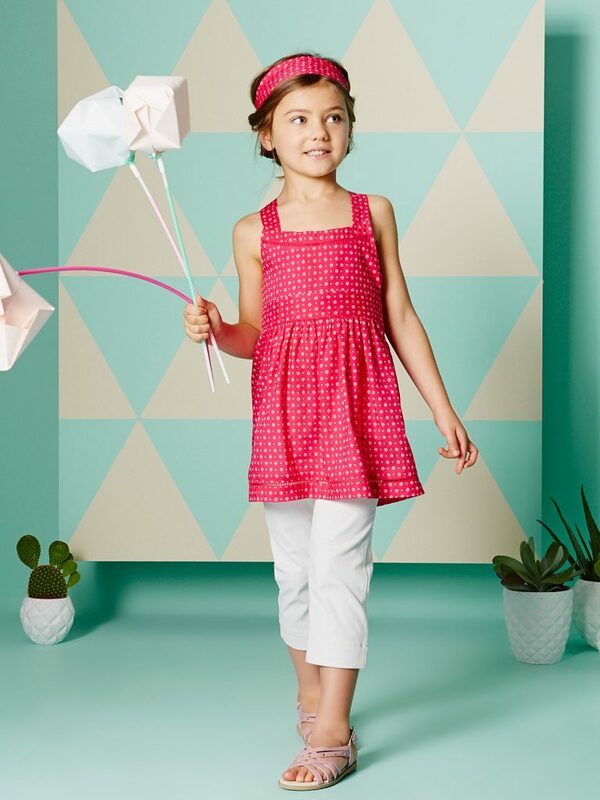 This lovely red and white outfit below is just £12.50 and comes with the headband, trousers and dress. Isn’t it just lovely – so bright and fresh for summer and a complete bargain too. 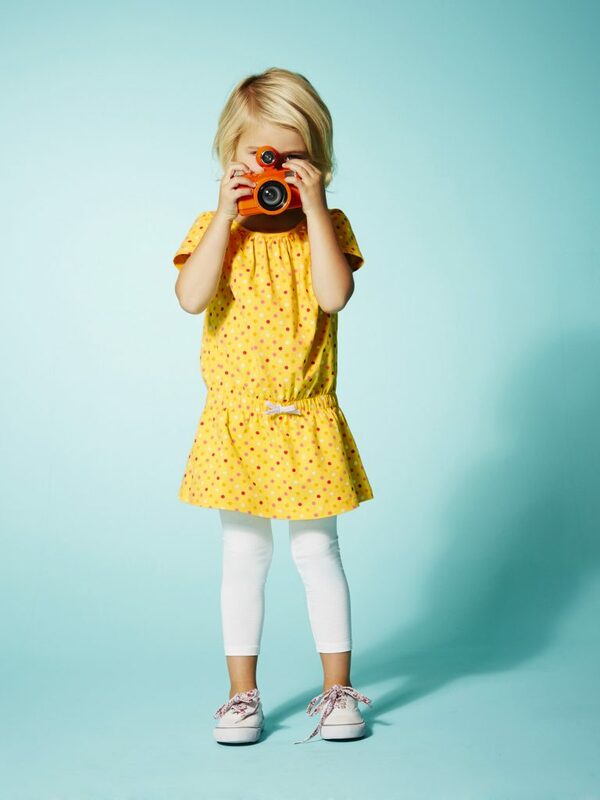 I also really like this outfit, the yellow dress and white leggings come as a set for the absolute bargain price of £8.50 (it also comes in pink, blue and purple colourways. Do have a look at their current sale. Vertbaudet currently have 50% off some items and they are rather fabulous. 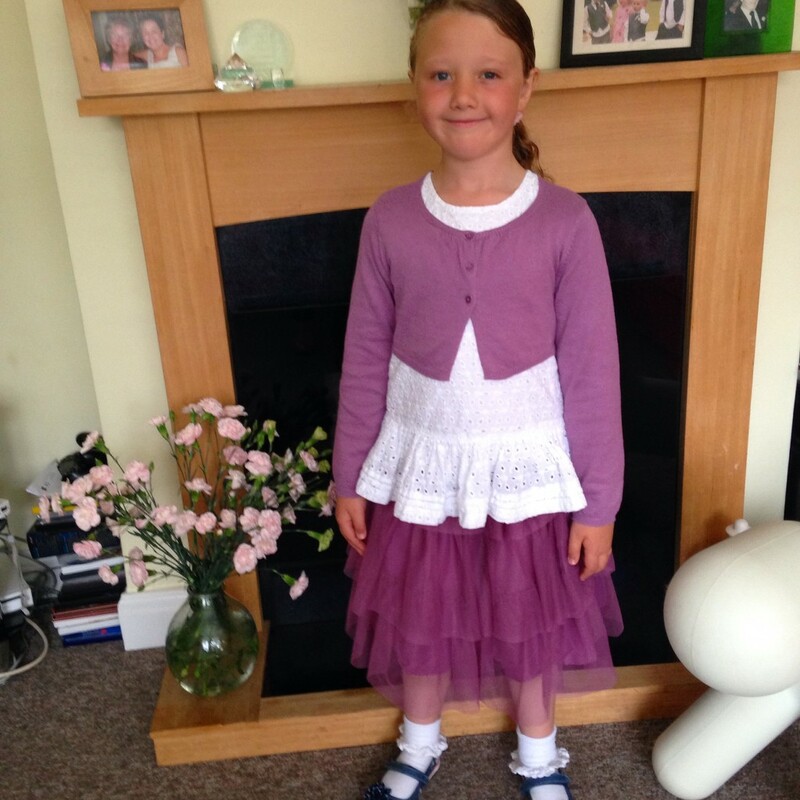 Next Post Top five tips for easing into the school routine. Absolutely love Vertbaudet my little girl has a gorgeous sleeping bag by them.